Dear “Catalyst” Diary… Vol. 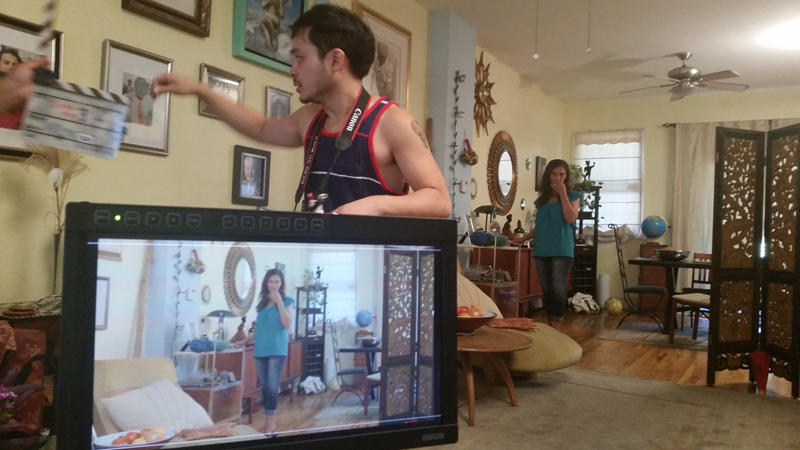 6 – Ghost Camera Tests! Not only has our Producer Anthony Vorhies completed two full feature films, but he was fortunate enough to be pulled away yet again to produce an Alicia Keyes video! Hopefully that project is finished and he can now focus on our budget with Producer David Herman. Together they are to come up with offers for Casting Director Donna McKenna to make to our actors. 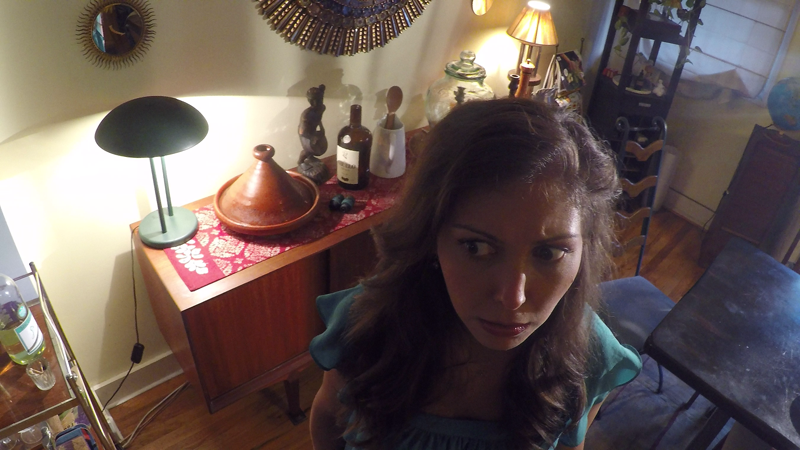 Actress Tiffany Hodges is terrorized during our ghost camera tests. Although Anthony was unable to attend, we had a day of Ghost Camera Testing with none other than Director of Photography Timothy Naylor who had been set to be our DP until he was pulled into another project. He is back and was joined by our Visual Effects Supervisor Lucien Harriot of Mechanism Digital whose attendance and expertise was invaluable. Another benefit of the ghost camera testing was that we won’t shoot the short (to be used to raise money for the feature) blindly without knowing the pitfalls. Had we tried to shoot the short without this knowledge, we would have run into the difficulties we uncovered, depleted our money, and not been able to complete the project. With no short to show to investors, there would be no feature film. Anthony Vorhies gets full the credit for suggesting the ghost tests and for putting all the pieces together. Thank you, Anthony. 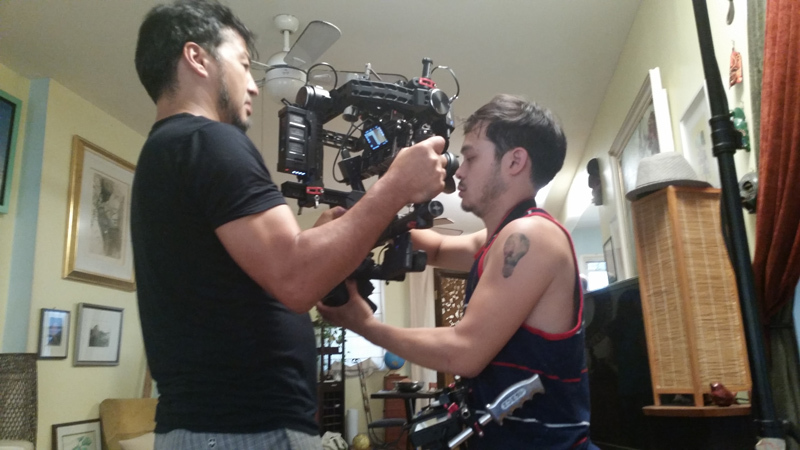 In the picture below is the DJI Ronin camera stabilization system. This contraption steadied the camera using a wireless GPS so it always lined up with the horizon, whether we could see the horizon or not. Used with our “A Camera” to record the earthly action, we then switched to testing a handheld monopod with a Black Magic and GoPro for capturing the Ghost’s POV (point of view). I am looking forward to seeing how the footage from all of these cameras cuts together. Also working as a PA (Production Assistant) on the shoot was our Intern Brendan Bennett. Thank you, Brendan for all your hard work with the camera team.